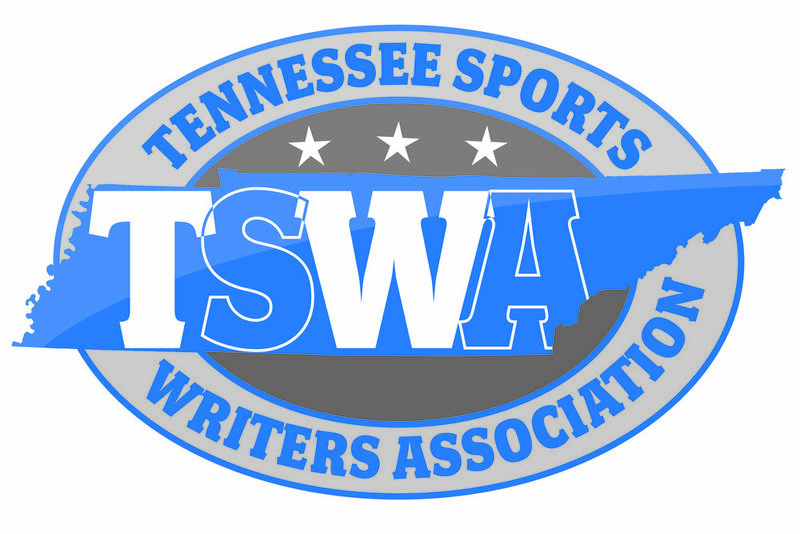 NASHVILLE, Tenn. – The Tennessee Sports Writers Association released the winners of the annual writing contest this week. All of the first, second and third-place winners will be recognized during the Hall of Fame dinner and banquet on Thursday, July 12, in Baird Chapel at Cumberland University. Thanks to Ron Higgins for again coordinating the judging for all of the categories in the annual writing contest. Note: Any category that is missing in the results was not judged due to having just one entry. Gary Lundy Writer of the Year – 1. Adam Sparks, The Tennessean – The winner made me laugh with his feature on Derek Mason’s locker room speeches, made me feel empathy for Vandy’s Matthew Fisher-Davis’ needless foul that lost an NCAA tourney game for the Commodores and made me cry with his feature on the two Vandy baseball teammates who were with teammate Donny Everett when he drowned. 2. John Adams, Knoxville News-Sentinel. 3. Jason Wolf, The Tennessean. Best Columnist – 1. John Adams, Knoxville News-Sentinel – What other columnist would predict in March (“The harsh reality is when Jones met Currie, he probably met the man who will fire him”) what will happen in November? What other columnist would find the college dorm room overlooking Tennessee’s practice field where he can watch closed practices. 2. Mark Wiedmer, Chattanooga Times-Free Press. 3. David Ammenheuser, The Tennessean. Best Feature Writer – 1. Stephen Hargis, Chattanooga Times-Free Press – His features reflects the time and sweat he puts in them. This is a writer who does a lot of legwork and it shows in his stories. He also always paints the scene extremely well. 2. Adam Sparks, The Tennessean. 3. Jason Wolf, The Tennessean. Best Event Writer – 1. Adam Sparks, The Tennessean – Reading the three stories of the winner, there are no holes in them. Good flow, multi-voices and the right amount of subtle analysis that tells a reader why something happened rather than writing it merely happened. 2. Teresa Walker, Associated Press. 3. Blake Toppmeyer, Knoxville News-Sentinel. Best Prep Writer – 1. Tom Kreager, The Tennessean – A coach who lost 220 pounds, a one-armed high school catcher and a coach whose girls basketball team lost by 93 points. These are the winner’s unique subjects and he knocked all three out of the park one-by-one. 2. John Varlas, The Commercial Appeal 3. Luis Torres, The Jackson Sun. Best Individual Layout – 1. Jamie Poole, Chattanooga Times-Free Press – All the layouts by the winner in this category contain an amazing amount of information without appearing crowded. All graphics are short and sweet. There’s not much waste of space. 2. Dylan Chessar, Chattanooga Times-Free Press. 3. Shelby Farmer, Chattanooga Times-Free Press. Gary Lundy Writer of the Year – 1. Eric Bacharach, Daily News Journal, Murfreesboro – Reading the winner’s three stories, they meet a standard of excellence in every way. Great subjects, complete and thorough reporting and written with a deft human touch. 2. Mike Hutchens, The Messenger, Union City. 3. Cecil Joyce, Daily News Journal, Murfreesboro. Best Daily Section – 1. The Daily Messenger, Union City – Not a great amount of space, but this paper packs a lot in an eight-page section. The writing is tight and the pages have good flow. 2. The Daily Times, Maryville. 3. None awarded. Best Special Section – 1. The Messenger, Union City – Everything about this preseason high school football special section just “pops” – the writing, the graphics, the vivid color picture reproduction, the layout. Wow! Wow! Wow! 2. The Daily Times, Maryville 3. Macon County Times. Best Columnist – 1. Jimmy Hyams, WNML Sports Radio – To be blunt, the winner was simply the best of a weak bunch of entries. Only the winner gave a hint of opinion in his columns. Everybody else entered nothing but feature fluff except for the second place winner who wrote about his comeback from almost being killed in an auto accident. Note to Division 2 writers: When you enter this column next year, please have an opinion. 2. Mike Hutchens, The Messenger, Union City. 3. Austin Bornheim, The Daily Times, Maryville. Best Feature Writer – 1. Eric Bacharach, Daily News Journal, Murfreesboro – Consistency in all three of his features made this writer the winner. His life on the road with the MTSU women’s basketball team covered every angle. The only complaint is it was way too long. Brevity is not a bad thing. 2. Mike Hutchens, The Messenger, Union City. 3. Cecil Joyce, Daily News Journal, Murfreesboro. Best Event Writer – 1. Erik Bacharach, Daily News Journal, Murfreesboro – The story that made him the winner was the Middle Tennessee State baseball team attended the funeral of a 12-year-boy who had befriended and inspired the team. 2. Mike Hutchens, The Messenger, Union City. 3. Kevin Weaks, The Messenger, Union City. Best News Writer – 1. Jimmy Hyams, WNML Sports Radio – The winner is obviously a polished writer. He took three “hard” news stories – the Josh Smith lawsuit, the Antoine Davis resignation and Greg Schiano’s invalid memorandum of understanding – and guided readers deftly through legal ins-and-outs in clear, concise manner. 2. Mike Hutchens, The Messenger, Union City 3. Kevin Weeks, The Messenger, Union City. Best Prep Writer – 1. Cecil Joyce, Daily News Journal, Murfreesboro – The first rule of good sports writing is hooking the reader in the first three graphs and then moving the reader smoothly through a story. The winner chose to enter three features rather than a variety (news, event, column), but he knows his strength. Great angles and character development. 2. Mike Hutchens, The Messenger, Union City 3. Kevin Weaks, The Messenger, Union City. Gary Lundy Writer of the Year – 1. Jimmy Hyams, WNML Sports Radio – This was an easy pick as the winner. His free-wheeling feature on former Tennessee basketball player Ron Slay was full of hilarious stories. His Tennessee-Missouri football game story was a smooth, well-paced read. 2. Craig Harris, Macon County Times 3. Joe Williams, Williamson Herald. Best Special Section – 1. The Weakley County Press – “All-inclusive” is the best way to describe this section. Yes, it has all the bells and whistles that make it easy for the reader to navigate between the featured teams and a schedule grid on the outside back cover. But the fact group pictures of high school cheerleaders were included makes me think the editor understands more than players and coaches contribute to Friday nights. 2. Williamson Herald. 3. Journal West. Best Event/News Writer – 1. Bill Sorrell, Journal West 10 – The winner entered three event stories, but they did exactly what event stories are supposed to do – put the reader not just at the event, but inside the event. Great work. 2. Joe Williams, Williamson Herald. 3. Craig Harris, Macon County Times. Best Feature Writer – 1. Joe Williams, Williamson Herald – Really impressed that his features were more about a topic rather than a subject, such as Brentwood’s softball coach on the subject of her pitchers and infielders wearing protective masks, as well the business problems faced by NASCAR. 2. Jimmy Hyams, WNML Sports Radio. 3. Bill Traughber, Nashville Retrospect. Best Feature Writer – 1. Mark McGee, Lipscomb University – You can tell when a writer’s passion for a story subject shines through. It does time and again with this writer. His story on Lint Smith, who has served 40 years in the Lipscomb athletic department as director of grounds, was tremendous. 2. Thomas Corhern, Tennessee Tech 3. Colby Wilson, Austin Peay. Best Event Writer – 1. Bill Sorrell, Bethel University – The winner has a knack for mastering the art of writing a feature-style event. It’s hard to pull off, but this writer makes it look easy. 2. Anne Wehunt, Chattanooga. 3. Colby Wilson, Austin Peay.